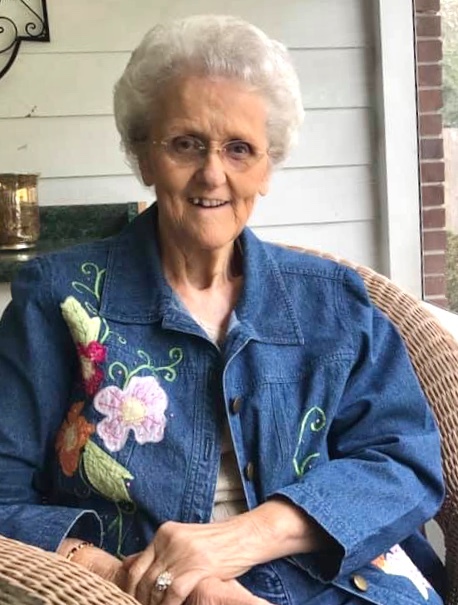 Ina Jean Dobbs, 83, of Jacksonville, went home to be with her Lord and Savior on January 22, 2019. She was a lifelong Jacksonville native, a member of First Baptist Church of Jacksonville and retired from Cecil Field after 42 years of service. She was preceded in death by her parents Henry "Ellery" and Alva Thomas, a brother, Maurice Thomas, and her granddaughters, Krista and Kara Gay. Survivors include her husband of 63 years, Kenneth Dobbs; son, Steven Dobbs (Heather); daughter, Lisa Helms (Bob); 4 grandchildren, Jessica (Brian), Lauren (Josh), Kirby and Andrew; 4 great-grandchildren, Jake, Lucas, Elliott and Henry; brother, Floyd W. Thomas and numerous nieces, nephews, cousins and friends. Funeral services will be held at Westside Baptist Church, 7775 Herlong Road, Jacksonville at 11 AM Saturday, January 26, 2019 with interment to follow in Riverside Memorial Park. The family will receive friends from 10 AM Saturday until the hour of the service at the church. Arrangements by Giddens-Reed Funeral Home, Baldwin, 904-266-2337(www. giddensreedfh.com).